The Aussie Millions schedule has a number of high-profile poker tournaments, but there is also a televised cash-game that is taking place and it has attracted some of the biggest names in the game. 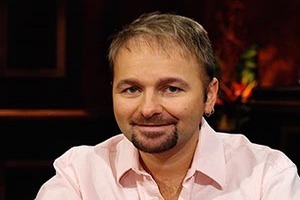 The $500/$1,000 half-NLHE/half-PLO game with a $100,000 minimum buy-in, dubbed The Million Dollar Cash-Game, is being filmed for television and includes a lineup that has included Sam Trickett, Daniel Negreanu, Gus Hansen, Patrik Antonius, Daniel Cates, Jason Mercier, Tom Dwan, and a couple of Chinese businessmen. The game wound down with Tom Dwan, Daniel Negreanu, Jason Mercier, and Patrick Antonius playing 4-handed PLO before the TV crew called it a night. While the game is now officially, the remaining players (or most of them) have decided to continue the game in the Mahogany Room of the Crown Casino according to pokerasiapacific.com’s reports. It’s often hard to tell precisely what players are adding-on and winning, especially with a day break in-between, but it appears that the TV crew and pokerasiapacific.com did an excellent job of keeping track of who the winners and losers were in the game. This entry was posted on Friday, January 27th, 2012 at 6:17 pm and is filed under Poker News. You can follow any responses to this entry through the RSS 2.0 feed. You can leave a response, or trackback from your own site.